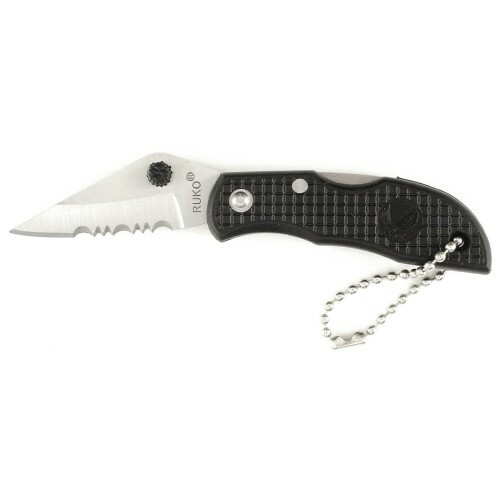 Nylon handle key chain folding knife, 420A stainless steel 1-7/8" blade, lockback design, ambidextrous thumb stud. Closed length: 2-1/2". Supplied with Counter Merchandiser's Display.